Cost: $1 for 24 oz. at The Dollar Store. Tried this on a few rusty nails that I kept for who knows what reason and on a shiny new zinc covered screw. Put them in a jar with just enough Works to cover and it started bubbling right away. I left the jar outside and went to dinner. About 5 hours later I remembered to check on them and they were rust and zinc free. I rinsed everything in water and dried with a paper towel. This stuff does create some nasty fumes and it’ll wash the pupils right out of your eye but it works better than anything else I’ve tried which is just about everything except Evaporust. The zinc covered screw looked like it could have stood to soak a little longer or maybe it was too long, not sure, but if you want to make a new screw look old this will do it. I accidentally dripped a drop on my tablesaw and wiped it up within 30 seconds but it left a clean streak. I also tried wetting a paper towel and wiping down a hand plane but that did nothing, it needs full contact. 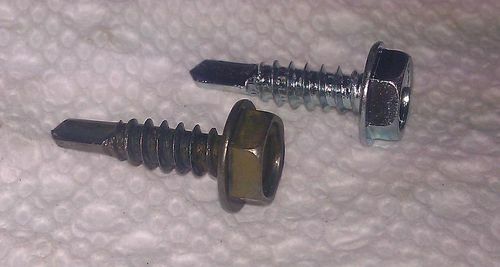 Here is the de-zinc’d screw next to a shiny one. Before and after, sorry for the harsh lighting. Update: Here is something more worthwhile than nails and screws. 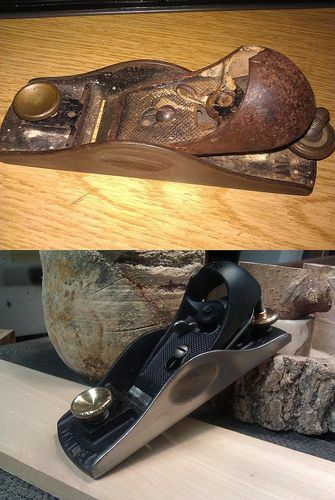 I used The Works on most of this Stanley 9 1/2, used Naval Jelly on the top of the cap. Nice job, so how does the cleaner work on toilets? works great on toilets :-) it’s HCl, so strong stuff, like Rick said. Works really well on the pink mold that tends to grow in damp bathroom spaces too. Never thought to use it in the shop, but why not? for safety, best is to use in a well ventilated area and with gloves. And I’m guessing pretty much any toilet bowl cleaner will do the same? Joe, based on what I’ve read, most name brands are less toxic and less effective on rust. The Works is something like 20% hydrochloric acid/muriatic acid. Besides removing rust, it will also kill ants, purify table salt, remove corrosion on steel, aluminum, copper and brass, clean old coins, clean concrete, clean rocks and gemstones, or even clean your toilet and shower. You can mix it with bleach and make chlorine gas for trench warfare. how does the cleaner work on table saw blades ? I don’t think i would put a saw blade in it, HCL cleans the metal because it eats up the metal. Would be scary to have teeth flying off a blade at you. Oh sure Rick, now that I bought a gallon of Evapo-Rust last week, you come up with the $1 product. I really don’t know why you would want to de-zinc a fastener … you paid extra for the zinc coating and now you remove the zinc ??? Oh, BTW, HCL is not safe to use in septic systems. Thanks for the post and the tip. 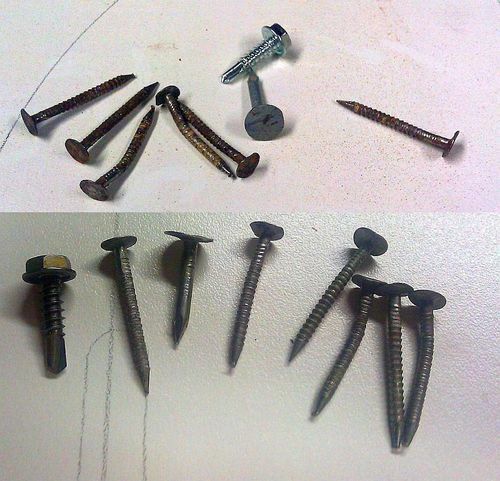 There are times when you don’t want a shiny fastener; and around here all screws are coated with something unless you buy stainless. There are also times when I’ve needed a new bolt or nut for an old machine and the only thing available was a nice shiny one which sticks out like a sore thumb… a shiny sore thumb, lol. I use it to remove the rust stains from my shower. I use a respirator and spray it on the walls I wait about 3 min and rinse the rust right off. It doesn’t take long. It removes rust like crazy – but don’t get it on cast iron! I almost ruined an old hand drill I was restoring by placing it in a jar of The Works. It did a good job of eating away the cast iron body of the drill. Causes rust. Also a check. Make sure to store this (or any other HCl acid) totally away from ferrous metal. The fumes will cause massive amounts of surface rust, regardless of finish. In the hardware stores where I work, every single shelf within eight feet of the muriatic acid is rusty within a year despite the epoxy paint. Unprotected steel, such as the paint and stain cans are even worse. I’m not sure of the science, just know the results. Check out comment #34 on the other LJ review of this product. Not saying it doesn’t work well or not to use it, just wanting to warn of possible bad side effects if proper precautions are not taken. sounds like the after and side effects as well as the health issues aren’t all that ‘cheap’ and worth it long term in my mind (but that’s just me). if you want cheap – electrolysis is as cheap as it comes.